There’s been an upsurge of interest in recent for what is commonly called YA, or Young Adult, literature. Writers such as J.K Rowling and Stephanie Meier are the first names that come to mind, both writers having become veritable money-printing institutions in the wake of their hugely successful series. Keeping young adults interested in reading is worthwhile; as an educator, I’ve seen firsthand the advantage that young adults who read regularly have over other students, especially in an academic setting. The Lennoxville Library boasts an ever-growing YA section, a collection that offers to the avid reader the likes of Neil Gaiman, Steven Erikson and L. J. Smith. Neil gaiman is perhaps best known for his Sandman graphic novel series, but he has also written a number of novels that have captured the imagination of fans worldwide. What is most striking about Gaiman’s writing is the very tangible feeling of respect for the traditional art of storytelling, and the notion of myth-making inherent to the act of storytelling. Reading one of Gaiman’s novels is almost like hearing a tale from the lips of an old bard in a smoke-filled tavern of old. Case in point his first novel, Stardust(1998). 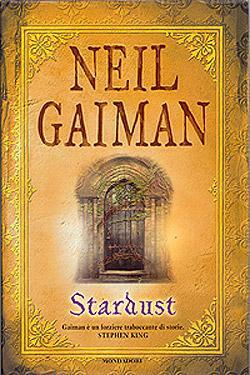 As a YA reader himself, Gaiman was obsessed with Tolkien’s novels, and Stardust follows in the footsteps of the fantasy master himself. The story is that of a young man, Tristran Thorne, who promises to recover a fallen star for his love, Victoria. In order to do so, Tristran ventures forth beyond the wall that gives his hometown its name, and into a land of magic and wonder. Tristran finds the star and, unexpectedly, falls in love with her, thereby becoming embroiled in the machination of the evil lords of Stormhold, who seek to use the star, Yvaine, for their own nefarious purposes. Gaiman’s strength here is in how he manages to tell this mythical, yet very traditional tale, without a smidgen of cynicism. The storytelling is honest and showcases a writer who is as enthralled by the magic and wonder in his story as the reader inevitably becomes. Touches of humour keep the whole affair from becoming too self-conscious, and the sheer delight Gaiman feels in the process of telling a story shines through on every page. Fans of another classic of the genre, William Goldman’s The Princess Bride, will find in Stardust a worthy complement. Another inheritor of Tolkien’s legacy is Canadian author Steven Erikson, who has recently completed his first series of ten novels in the Malazan Book of the Fallen series. The first book of the series, Gardens of the Moon (1999), lays the foundation for the whole series, introducing some of the best of his litany of characters, namely the Bridgeburners. Fans of Glen Cook’s The Black Company will find in Erikson’s novels a similar interest in the common man’s plight, especially that of soldiers and engineers, something often overlooked in sprawling fantasy sagas. An anthropologist and archeologist, Erikson possesses the knowledge and tools to create deeply plausible societies and mythologies. He delights in challenging our pre-conception of fantasy tropes, and creates character who, whether simple soldiers, demi-gods or ancient beings, go against type and operate like real people do, according to their goals and desires. Dark humor is liberally sprinkled throughout, and action plays careful counterpoint to political maneuvering. Be warned though; Erikson takes a particular pleasure in putting his characters through the ringer, and infuses his novels with a strong sense that no one is safe, not even the young.